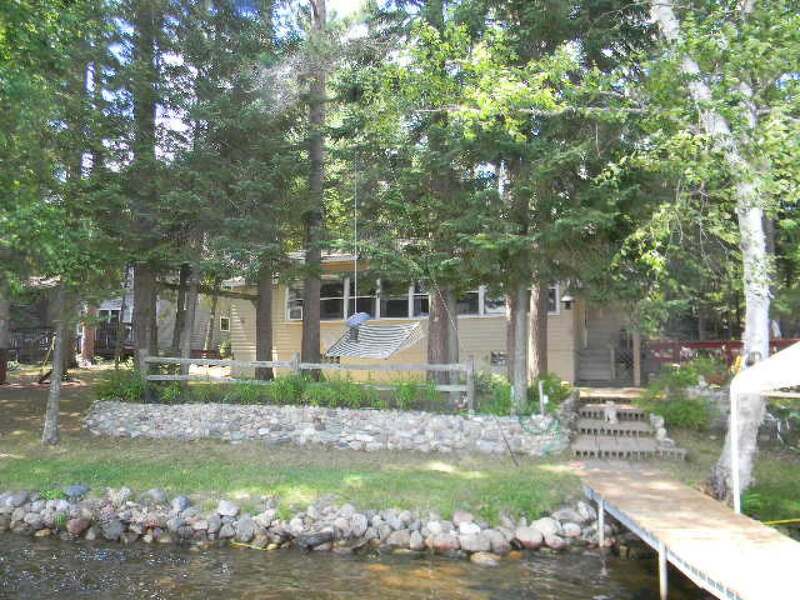 ENJOY THE AWESOME VIEW FROM THE WALL OF WINDOWS THAT FACES THE LAKE AT THIS COZY, WELL MAINTAINED YEAR ROUND COTTAGE. ENJOY THE GENTLE BREEZE IN A HAMMOCK OR PICNIC AT THE TABLE. NEWER PIER IS INCLUDED IN THE SALE. LOCATED NEAR THE END OF A NO-THRU ROAD, THIS PEACEFUL PLACE, WITH A GENTLE SLOPE TO THE LAKE IS AN IDEAL SPOT TO RELAX, FISH, SWIM, OR SNOWMOBILE FROM. SELLER IS INCLUDING ALL FURNISHINGS SO YOU CAN MOVE RIGHT IN AFTER CLOSING!! BASS BOAT IS NEGOTIABLE!